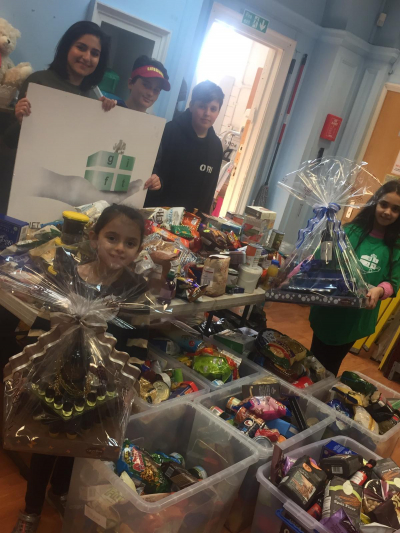 GIFT held a hugely successful food appeal this year collecting surplus Mishloach Manot in the GIFT warehouse in Hendon as well as at collection points across London, Manchester and Israel. Thousands of pounds worth of food was collected from the appeals and will be distributed to hundreds of struggling families throughout the year. Michelle Barnett, GIFT Founding Director, was delighted with the outcome and overwhelmed by people’s generosity, in addition to the energy and stamina of the volunteers who came on the day to sort and pack the food. GIFT’s innovative text code donation service for Matanot Le’evyonim, meant that almost £17,000 was distributed to those in dire straits.